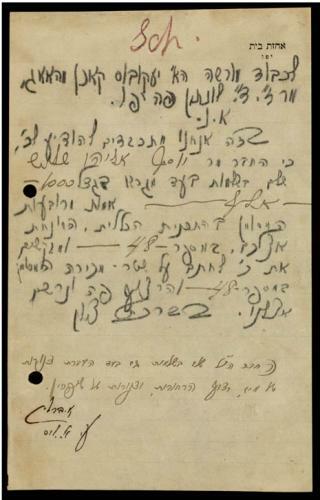 The educational philosophy of the Jewish Women's Archive (JWA) includes the idea that historical documents such as photographs, letters, posters, and sermons can provide an entry point into any aspect of Jewish life. It is easy to see how how this can apply to genealogy. Primary sources can provide fresh perspectives and help show the historical context of our ancestors' lives. Some historical sources are in English, which can make them more accessible. JWA's Webinars are geared primarily toward teachers, and if you teach Jewish genealogy, you are a teacher! But the information is often useful to researchers also, and the Webinars are open to everyone. I find these Webinars to be interesting educational opportunities at a very reasonable price (free!). The second Webinar in JWA's 2012-2013 series is "Historical Sources in Jewish Education." Registration is free. The Webinar is being offered at two times: Tuesday, January 8, at 1:00 p.m. EST, and Wednesday, January 9, at 8:00 p.m. EST. Register here. The first Webinar in the 2012-2013 series was "Butchers, Babushkas, and Consumer Activism." It was about the 1902 kosher meat boycott in New York City, which I had not heard of previously. I was very surprised to learn that a bunch of immigrant Jewish housewives, many of whom did not speak English, organized a boycott. A recording of the November 13 Webinar is available on the JWA Web site.